Could the end be nigh for mirrors on cars? 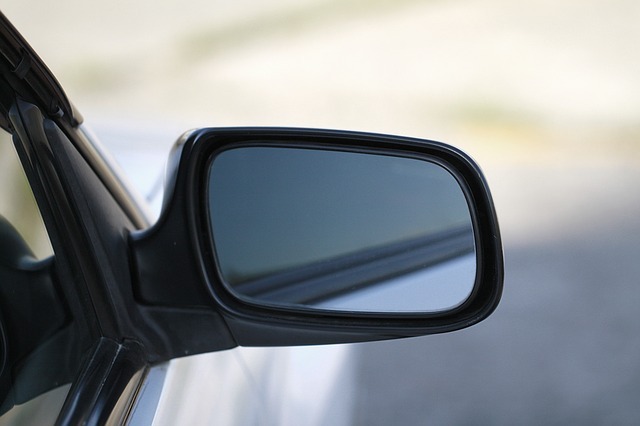 Since 1978, every car sold in the UK has been required by law to have at least one internal and one external mirror. However, in a new move, Japan have become the first country to approve a law which allows the use of rear-facing cameras in place of mirrors. Their reasoning is that technology has developed far enough for video displays to be a viable or even preferred substitute for the humble mirror. Many concept cars have been getting rid of wing mirrors to create a sleeker mirrorless look, but when it comes to production, they have to have mirrors added to the car, because it is the law. The only exception of this in Europe so far is the Volkswagen XL1. Due to a limited production run of the car, Volkswagen were granted a special exception from the EU, although the law still requires physical mirrors for normal production models. The latest ruling in Japan could result in similar regulations rolling out across the world, which may spell the end for mirrors on our vehicles. But before people rush out thinking “I should sell my car online and pick up one with cameras”, we have taken a look at their pros and cons, and whether the UK will be following in Japan’s footsteps anytime soon. Having rear-view mirrors on cars dates back as far as 1909. A woman named Dorothy Levitt suggested in her book “The Woman and the Car” that a long-handled mirror could be used to check behind you when driving. Since then, they have been a regular safety feature of every car. The modern mirror is far more technologically advanced than these first efforts, with many new cars having electrically adjustable or even heated mirrors. Some can even contain technology that warns you of vehicles in your blind spot! But they are not perfect. In a day where fuel economy is key (read our guide on how to improve your own here) they jut out of the side of a car’s otherwise streamlined body, providing unwelcomed air resistance. Door mirrors are also very vulnerable, and are open to sideswipes from other vehicles, damage from car washes or even angry drunks on their way home from the pub… What’s worse is that they are becoming increasingly expensive to replace. If you have a wing mirror with all the up to date technology, it can cost hundreds of pounds to replace. So, are cameras that much better than mirrors? On the surface, cameras seem to offer a number advantages over mirrors. They provide a much wider field of vision which almost completely eliminates blind spots. The cameras can focus wherever you want them to, which could potentially give the driver 360-degree visibility from their seat. Cameras also require very little space, meaning they will not be hanging off the side of the car in the same way that wing mirrors do. This will help to reduce drag, improving fuel consumption over time. The positioning of the rear-view cameras may also mark an improvement in safety. Drivers currently have to turn their heads to look at their mirrors, but if the camera feeds were located in a convenient location, it may reduce the amount of time that the driver’s eyes are off the road. However, much like the mirrors, these cameras are not without their faults. Camera lenses need to stay clean to give you the best possible picture. Road grime, spray and squashed bugs can affect the picture quality. Cameras are also always going to be at risk of electrical failure. The thought of being on a motorway and your rearward vision suddenly disappearing is a fairly scary one! And if they do break, they are undoubtedly going to be more expensive to repair, even compared to the hi-tech wing mirrors we currently have. Will the UK follow in Japan’s footsteps? As we mentioned, Japan are the first and only country to have passed a law relating to the use of cameras over mirrors, so it may be a while before we starting seeing mirrorless cars on the road. The increasing use of cameras in place of mirrors on concept cars suggests that this idea is very much at the forefront of the thoughts of car manufacturers, but until the technology improves and can be proven to be completely safe and reliable, it would seem that the UK won’t be following in the footsteps of Japan anytime soon!